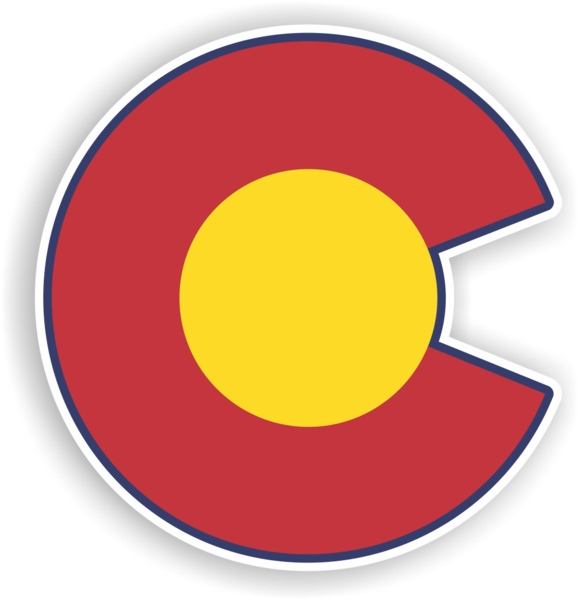 H & I Home Inspections offers investigative home inspection services to Denver and the surrounding municipalities. Our goal is to help each customer broaden their knowledge of a home, revealing the condition of most readily accessible areas and carefully explaining what can be expected from a prospective purchase. H & I Home Inspections complies with ASHI’s excellent Standard of Practice. This inspection is a thorough evaluation of a home’s visible and readily accessible components. Your inspector will take time to meticulously investigate the condition of most structures and installed mechanical systems, ensuring that you’re aware of any issues that may require repairs or extensive maintenance. This inspection is for individuals and their families who are getting ready to sell a home. Your inspector will thoroughly evaluate the structure and the installed mechanical systems, searching for any defects that you should be aware of. This will enable you to make repairs at your own discretion and to otherwise inform prospective buyers of known issues so that the negotiating process can proceed without interruption when they schedule their own inspection. When construction is nearly completed on your new home, it’s good time to schedule an inspection with an unbiased third-party home inspector. Your inspector will arrive to the property to assess the condition of the interior and exterior structure as well as the installed mechanical systems. Your complete inspection report will give you the information you need to determine whether or not the builder needs to go back to correct any oversights—and will otherwise give you peace of mind knowing that your home is ready for the movers. This inspection is recommended for any new homeowner who has lived in their home for less than a year. The builder of your home likely protected your investment with a 1-year warranty, and it’s a good idea to have the property evaluated before the warranty expires. H & I Home Inspections will inspect most readily accessible areas, informing you of any defects that need to be addressed. Depending on the terms of your warranty, the builder may be obligated to assist with repair expenses. Radon is a radioactive gas that has been known to cause serious lung problems in individuals who have been exposed over long periods of time. The gas forms underground and is sometimes able to rise through the surface and into the structure of a home. Radon is invisible and odorless, requiring specialized equipment to detect. H & I Home Inspections uses electronic radon tests that provide results within 48 hours. This inspection is referred to local experts who will utilize a sewer scope to access and evaluate the inner workings of a home’s sewer system. The company that performs the inspection specializes in a providing a thorough analysis but does not service or repair sewer systems—that way, you know that there’s never a conflict of interest. For the convenience of our customers, H & I Inspections will schedule and take payment for the Sewer Inspection. H & I Home Inspections is committed to quality with all our inspection services. Schedule Radon Testing and a Sewer Inspection at the same time as your General Property Inspection so you’re confident your prospective investment is protected! Contact us today to request an appointment for our inspection services. 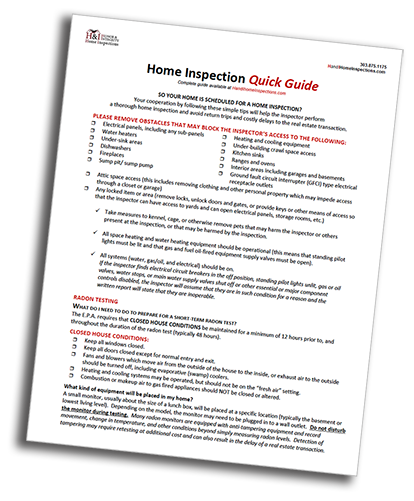 DOWNLOAD YOUR FREE 1-PAGE HOME INSPECTION GUIDE.